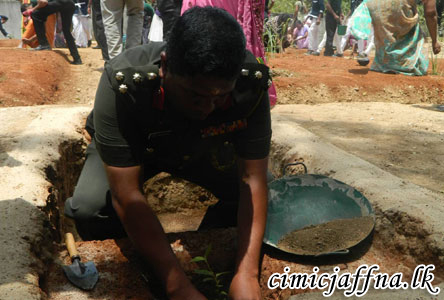 To mark the World Nature Conservation Day, soldiers of the Security Force Jaffna conducted many echo-friendly projects encompassing the whole peninsula on Monday (28). Removing plastics and polythene wastes on the beach and land by the soldiers serving in respective areas took place with the help of civilians and different organizations. 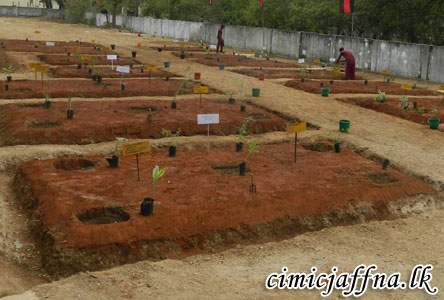 Meanwhile, the 523 Brigade of Kachchai organized a campaign to plant herbal plants in the premises of Kaithady Ayurvedic Teaching hospital on Monday.At the same time, a number of tree planting programmes were conducted by the soldiers throughout the island. Director of the Ayurvedic hospital Dr. Mrs. Prema Sivasanmugaraja, Dean Faculty of Indigenous Medicine Dr. S. Sivasanmugaraja and Commander 523 Brigade Brigadier Athula Marasinghe also attended the herbal tree planting campaign.